Many content creators have been doing collaborative content for some time now. The greatest reason for this is that combining audiences can do a lot of good for all collaborators involved. But collaboration isn't just good for exposure and traffic. It also brings together different perspectives and talents in ways that you may never have before anticipated. 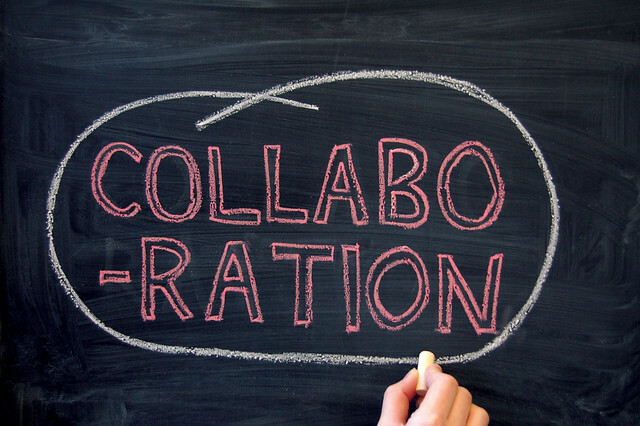 What’s so great about collaboration, though, is the fact that many times, you’ll end up with something unexpected.. Sure, sometimes a collaboration will start out well-intentioned and end up being a disaster. But when the chemistry is there between creators, something special can happen. It’s sort of like a duet with musical artists from disparate genres. Different types of content creators can come up with some pretty unique stuff by using the best of their talents to complement one another. Writers connecting with videographers can bring their words to live. Bloggers teaming up with copywriters can find the missing bits to taking their marketing to the next level. There are many cases where like-minded content creators can do a lot of good together. But by mixing and matching creators from different fields, the power of collaboration becomes that much greater. You have to be open to some interesting, sometimes completely unexpected partnerships, because it may be the collaboration that makes one or both of your lives a whole lot better. Never underestimate the power of collaboration. That math professor may have a passion for gaming just like you do and add a new dimension to your blog that your audience might appreciate. Maybe you’re a vlogger with a strong core audience, but you found a blogger who wouldn’t seem to be a natural fit, yet found a way to connect to a brand new audience you never thought was there before! So if you ever find yourself struggling on your latest project, you may find someone out there who’s willing to add their own talent to the mix. Not all collaborations end well, of course, but even those that don’t can teach all involved a lot. Those collaborations that do succeed, however, are to be treasured. Never be afraid to collaborate if the terms make sense. It’s always good to try something new and people love to be surprised. Have you ever collaborated with other writers or content creators? Have they failed or succeeded? How would you suggest going about your first (or next) collaboration?